France welcome more than 70 million tourists per year and based this number FRANCE has a status of the most demanded tourist destination in the World that won’t be a surprise for this modern and fresh destination. France offers a wide range of landscape, richness of culture and gastronomy. Whatever region you pick, you won’t run out of things to do and see. Take a break in some of the most exciting cities; from the capital of romance to the gastronomic heart of France. Everyone can find his adventure! Party of tastes and flavors start here, nowhere more glorious than in France. From Michelin starred meals with the finest wines in the up-market eateries of Paris, to a local delicacy with wine tasting in a simple café in a market square. There’s no chance of leaving France without falling in love with a French cuisine. Bon appétit! France is currently the second-largest wine-producing country on Earth, creating more than six billion bottles, on average, each year. Three areas, Champagne, Burgundy and Bordeaux, enjoy worldwide recognition on account of their historic tradition for fine wines. This destination boasts a rich culture with unmissable sites. From art to architecture, from impressionism to abstract, a cultural heritage stretches back to the Stone Age. Wide, sandy beaches and chic seaside towns with their mouthwatering seafood delights; the unique French coast offers an adventure round every corner. Natural magic of its countryside; whether you see it by bike, on foot, from a boat, or a car, you won’t run out of things to do and see. After travelling across France, you will think it’s lots of countries instead of just one because of its diversity. from ground transportation and assistance to hotel negotiation and booking, from cultural sightseeing to tailor-made teambuilding activities, from basic meal requirements to exclusive gala dinners with catering, entertainment and event production and from internal meeting arrangements to international congresses with integrated PCO services. The office employs 12 expert project managers with a background from the travel and hotel industry. Each member of the team is multilingual (English, German, French, Italian, Russian, Spanish, Czech ...) and has a multicultural background, in order to better understand our clients' needs and expectations. Each request is tailor-made and each cost carefully reviewed and negotiated with our suppliers for the benefit of our clients. Our local expertise and our strong partnership with our suppliers, combined with our reactivity and creativity has maintained Liberty Incentives & Congresses a leading DMC in France. 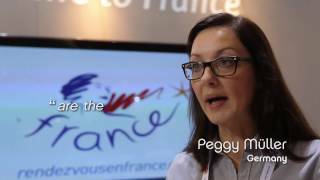 Under the new management since December 2015 - Liberty France would like to show the modern way of promoting the destination as well as the unique way of operation with customers. Our motto - PARTNERSHIP.